Early in October ECAD organized a study visit to SanPatrignano recovery community and used the opportunity to visit a workshop on viral hepatitis conducted at the same time. The workshop took place in SanPatrignano and was accredited by the Italian Ministry of Health. The red line in the discussions was the need for a common strategy that should account for regional approaches, subpopulations and settings. As there are many medical specialists among ECAD members who might find this topic very interesting, we publish the Conference Highlight Report here (PDF). 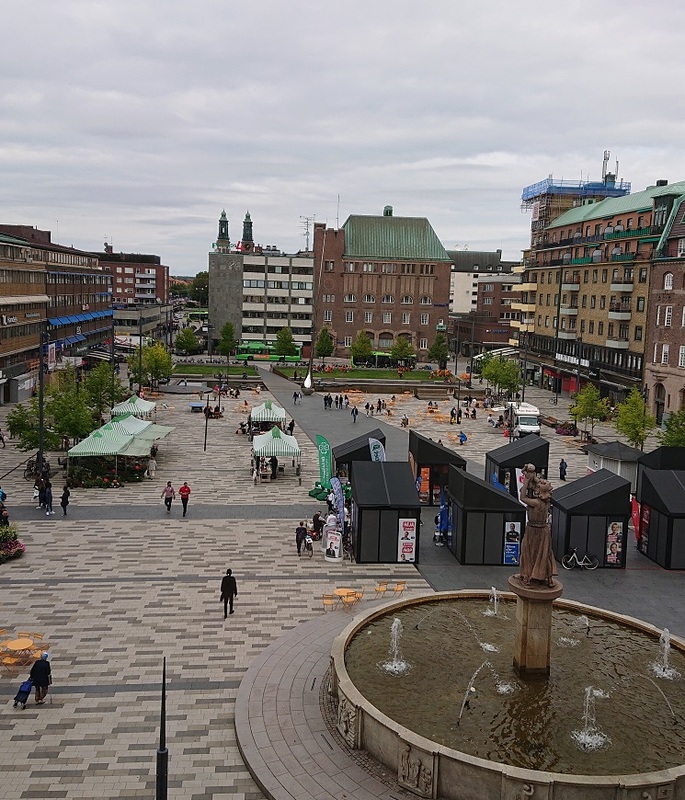 ECAD is implementing a 12 month-long primary prevention project that started with a workshop in Eskilstuna this September. 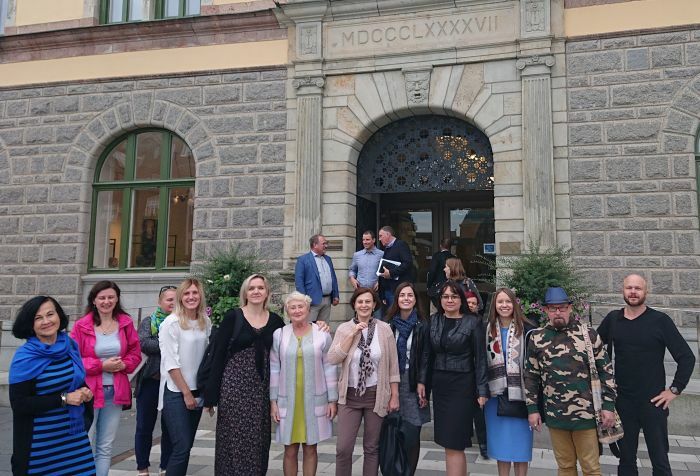 Project teams from 7 cities (Tallinn, Kaunas, Jurmala, Dobele, Eskilstuna, Minsk and Odessa) in the Baltic Sea region participated in the seminar, making use of the 20-year long research on reducing the substance use among the youth, named the Icelandic Model. 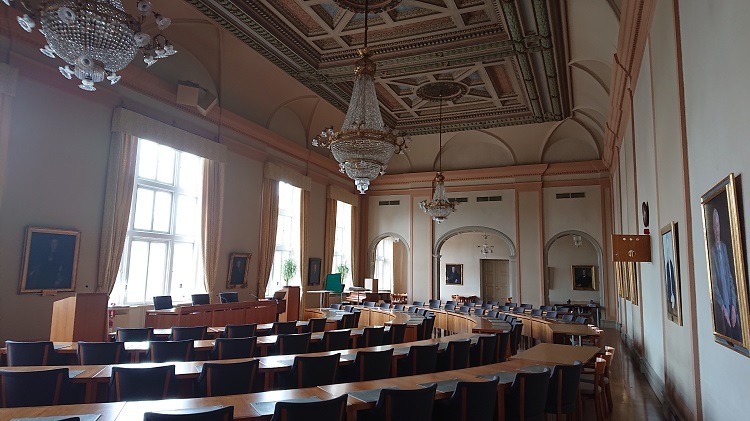 The seminar was focused on the evidence-based findings of the Icelandic model, brought to Eskilstuna and presented by the team of researchers from the Icelandic Center for Research and Analysis. The key-message of getting to grips with the specifics of efficient prevention is changing the context (environment) that forms the behaviour of people, since personal lifestyle is socially conditioned. The objective is to achieve a long-term cultural change. To introduce the change it is vital to ensure an up-to-date mapping of the actual situation with substance use in the project cities. It can be achieved by introducing regular questionnaires among 14-15 old youth and understanding their physical and mental state. One of the success factors here is a committment of elected city officials to facilitate the continuity of data collection. Project partners discussed the actual situation in the project cities and identified a number of challenges, depending on the size of the community and the well-being of its citizens. The most common challenges turned to be lack of regular interventions and local prevention programmes, the use of cannabis and synthetic substances among the youth and lack of gender-specific prevention. The Icelandic model can provide adequate resoponse to these challenges. So two of the present city officials (Kaunas, Lithuania and Odessa, Ukraine) had decided on the introduction of Icelandic methodology and regular data collection after the seminar. The participants expressed vivid interest in networking with each other and the contacts are now established on the regular basis among all of us. The next step will be visiting the communities, participating in the data collection in November and thus the project partners have to take the decision on how profound their involvement in the project will be. We are also looking forward to the next meeting in Odessa in March 2019. The project is supported by the Swedish Institute and is driven in compliance with the UN Agenda 2030 and EU strategy for cooperation in the Baltic Sea Region, promoting and improving people`s health. 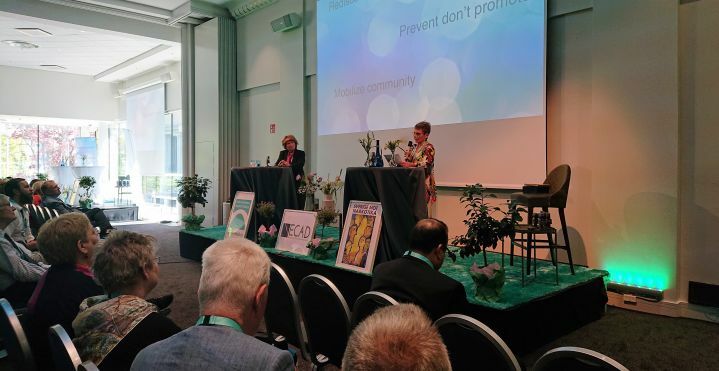 During ECADs 25th Mayors Forum and the 6th World Forum Against Drugs in Gothenburg more than 60 speakers discussed topics related to the production, trafficking and consumption of illicit drugs to a 400 head large audience. One of our prominent speakers, Dr Vanda Felbab-Brown, Senior Fellow at the Brookings Institute, presented her findings from international research on conflict areas, insurgencies, terrorism and organized crime to give an overview of the relationship between Organized Crime, Illicit Drugs and Terrorism. Illicit drug production in weak states have enriched guerrillas, militias, organized crime groups, terrorist groups and corrupt governments alike. Violence, corruption and insecurity threaten the integrity and legitimacy of governments and their institutions. Yet, it is not so easy as to equate tough drug control with increased levels of violence. The illicit drug trade is more violent in some parts of the world than others. What are the linkages between organized crime, drug trade and terrorism? What blame can be attributed to the so-called war on drugs and how should the vicious cycle of state fragility, conflict and weak rule of law be turned into a virtuous cycle of increased security and development? What follows is a summary complied by ECAD Secretary General who moderated the event. Any mistakes in the text or discrepancies to what Vanda said shall be attributed to him. Dr. Vanda Felbab-Brown received her Ph.D. in Political Science from Massachusetts Institute of Technology and her B.A. in Government from Harvard University, USA. Vanda Felbab-Brown is a Senior Fellow in the Center for 21st Century Security and Intelligence in the Foreign Policy program at Brookings Institution, a non-profit public policy organization based in Washington, DC, as well as Director of the project 'Improving Global Drug Policy: Comparative Perspectives Beyond UNGASS 2016'. Vanda Felbab-Brown is an expert on international and internal conflicts and non-traditional security threats, including insurgency, organized crime, urban violence, and illicit economies as well as author to several books, policy reports, academic articles and opinion pieces. This August ECAD launches a 12 months-long Prevention Training Programme for our member cities in the Baltic Sea Region (BSR) countries. The aim is to promote health and positive development of the youth through the effective evidence-based prevention of substance use in the cities of the BSR and to broaden the cooperation in the region. The project is supported by the Swedish Development Agency, the Swedish Institute. The Programme is grounded in the evidence-based Icelandic Model. Since 1998, the primary prevention program on Iceland has successfully reduced adolescent substance use levels in Reykjavik from the highest level in Europe to the lowest. Public safety has improved as well. The Icelandic model was fairly highlighted (click here to read) in the media and has a more than 20 years exerience to apply in practice for this Prevention Training programme. 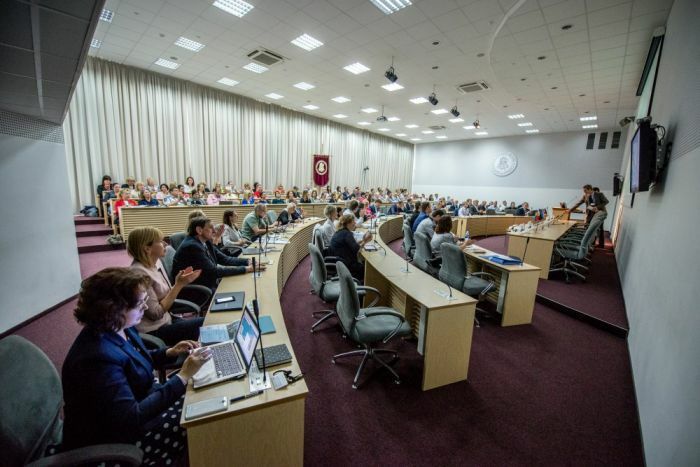 Tallinn in Estonia, Kaunas, Lithuania, Jurmala and Dobele in Latvia, Odessa, Ukraine, Minsk, Belarus and the city of Eskilstuna will host the fist project activity in Sweden on September 4-5. The world drug problem is solved locally. In every city, in every school and in every home. On July 16-17th ECAD was presenting its findings to delegates at the Organization for Security and Cooperation in Europe at the conference titled Combating the Threat of Illicit Drugs and the Diversion of Chemical Precursors, Vienna. ECAD spoke about the organsations work to counteract the European drug problem by drug demand reduction efforts aimed at environmental and primary prevention as well as the promotion of full recovery from addiction. Drugs have been used for medicinal, religious and recreational purposes since dawn of men. But yesterday’s use shares little resemblance to today’s global drug markets. Commercialization and advances in chemistry and communications have profoundly altered the toxicity and speed with which drugs traverse our globe during the last century. The global drug control system is being strained but is our best hope to counteract the devasting impact from illicit drugs. Regulations of legal drugs are not successful examples to follow. Community-based and scientifically grounded actions and interventions at local level that targets the causes for substance use as well as vulnerabilities to organized crime can make the world drug problem significantly smaller. The message of our presentation was that countries should adhere to the international principles to which they have already signed, i.e defend the integrity of the drug control conventions. Countries (Canada) that unilaterally breaches the international treaties they have signed on for and on which the rest of the worlds drug control system is reliant upon, should think twice before they legalize drugs. If countries want to achieve a serious and long term reduction in drug demand they would do wise to study the true success story of the world - Iceland. An evidence based mapping of local risk and protective factors and subsequent long term and holistic change of the local environment in which youngsters are brought up can bring about a population level reduction in their willingness to take drugs. To fully make people recover from drug addiction underlying issues that preceded drug need to be adressed. Drug treatment need to take into account and solve more problems than those posed by the drugs and equip persons with tools to adress challenges in life without drugs. A sustainable recovery takes time and need to be supported years after intitial treatment and stabilisation to increase likelihood of success. To mitigate the harms posed by traffickers and criminals operating on drug money law enforcement would do well to cooperate with treatment and social service and act as an engine for the recovery of addicts with a criminal background. The presence of (large scale) organized crime in a society can be understood as a weakness in governance. The criminals need to be combatted and persecuted but to be sustainable, the governance weakness also need to be adressed. ECAD's activities from year to year culminate in the annual ECAD Mayors Conference, hosted by a distinct ECAD member city every summer. Councillors and other politicians and policymakers convene with academics and civil society organizations to participate in seminars and study visits, discussing the latest developments in drug prevention efforts throughout Europe. Supply reduction in Peril? A lot of the worlds`s drug supply emanates from a war-torn Columbia. 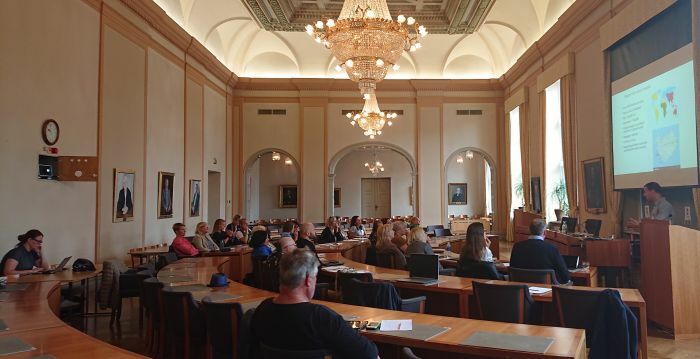 Annual Mayors` Conference and the 6th World Forum Against Drugs will take off on May 14-15 in Gothenburg this year. This joint event will address a growing interest to the effective prevention practices, full recovery and alternatives to incarceration and to life-long dependency on drug treatment. The conference will create a room for elaborating a practical guide to how a recovery city will look like, this will be grounded on the recent evidence-based research. 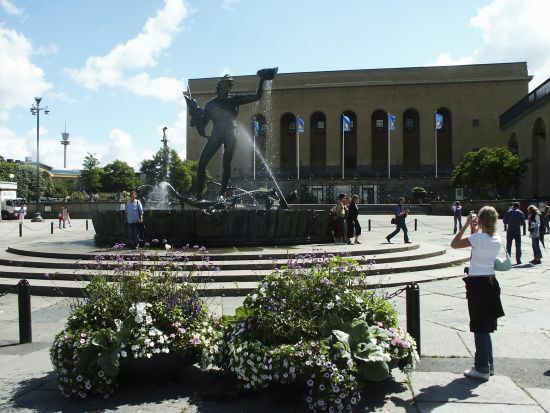 Sheffield Hallam University (UK), Ghent University (Belgium) and the City of Gothenburg have already started working on this guide in practice. In order to find out more and to register please visit a joint webpage here. 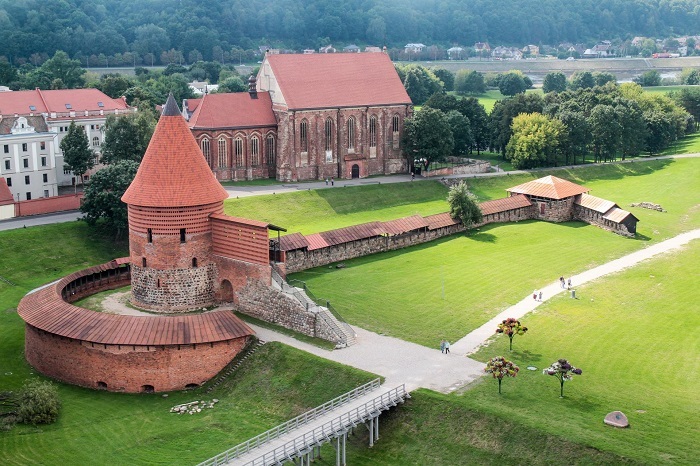 Warm welcome to Kaunas, Lithuania! Archives of ECAD's mailed newsletters from 2003 until 2013. To subscribe to ECAD's new email-based newsletter, click here. Official ECAD mission statements in six different European languages. The ECAD Resolution, crafted at a conference to increase cooperation between cities, provides inspiration and hope for areas with particularly difficult drug problems. The signatories to the resolution will affirm their decision to fight against the spread of drugs.